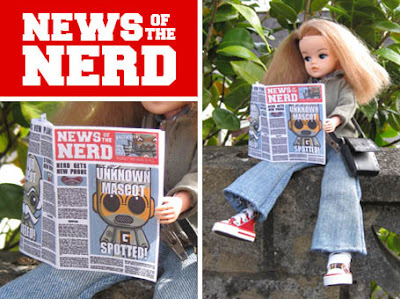 I present to you… the News Of The Nerd! I know, I am a genius, aren’t I? I reckon it’s what the Sunday reader has been calling out for for far too long! After all, who doesn’t love computers and gadgets nowadays, right? And, what’s more, I also reckon with you as its editor the paper would be bound for success! Perhaps you could even get the Robot and Alien Mascots involved, as they clearly know a thing or two about technology! Sound like a good idea? Thanks Cornelius, and not just for the idea. Your praise for my knowledge of all things nerdworthy is much appreciated. Unfortunately, however, you have overlooked one small but very important detail - us nerds like to get our news online, not from a printing press! Sorry!